This is easy sandwich to make. Best for kids with vegeterian diet because of the protein content in Tofu which is very much required. 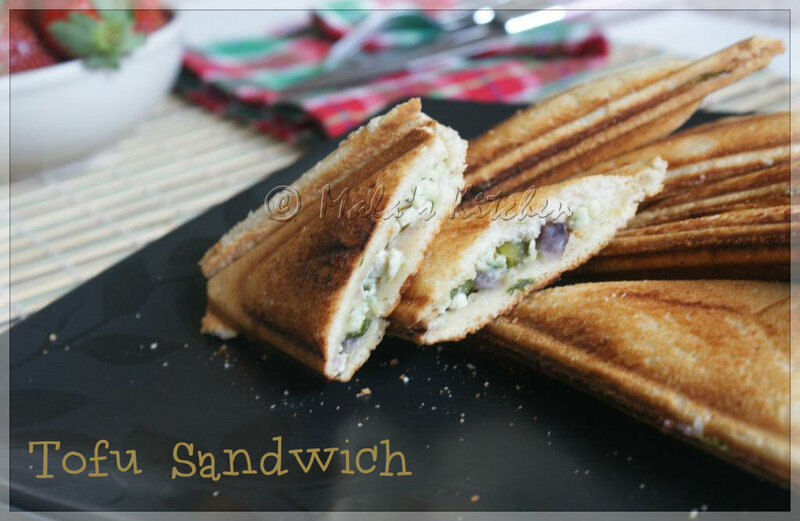 I have adapted Sanjeev Kapoor's similar sandwich method but made it my own way. Very tasty sandwich and healthy for kids. My son really likes this for his lunchbox. Can be also made for breakfast along with orange juice and fruits. Sometimes i also give it a slight different taste. hmmmmmmmmmmmm I am hungry.Delicious and tempting tofu sandwich.